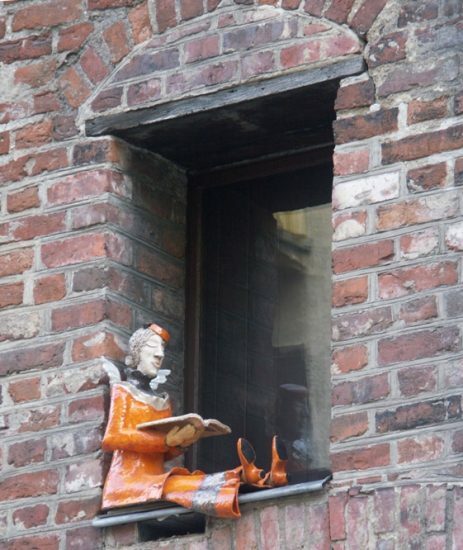 The ceramic figures made by Toruń artists – the burghers, the Teutonic Knight in a helmet and the people engrossed in their reading – are there to promote and give a new look to the historic architecture of the city. The first to appear was a group of burghers made in 2007, referring to the medieval painting of the Passion of Christ in St. James’s Church. 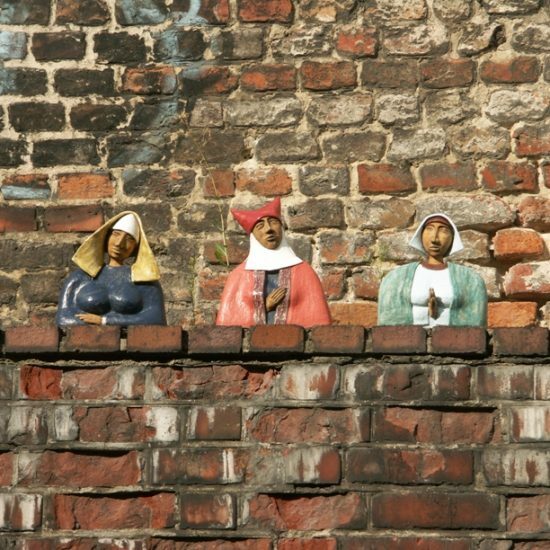 An anonymous artist put the Passion scenes into the reality of the 15th-century Toruń, which provides some insight into the clothing culture and the habits of the people traversing the gothic streets of Copernicus city. 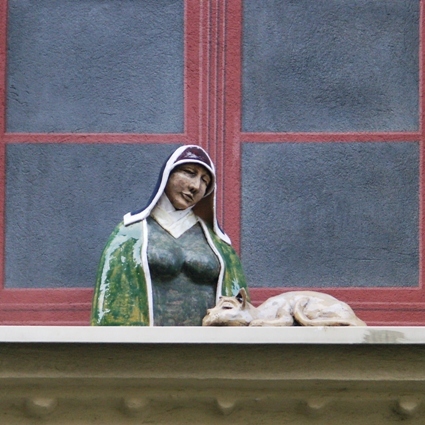 Sculptor Dariusz Przewięźlikowski used them as a model to create a gallery of ceramic figures on the wall in Podmurna Street (between Szewska Street and 60 Podmurna Street) as well as in the window niches of the Old City Town Hall overlooking the courtyard. 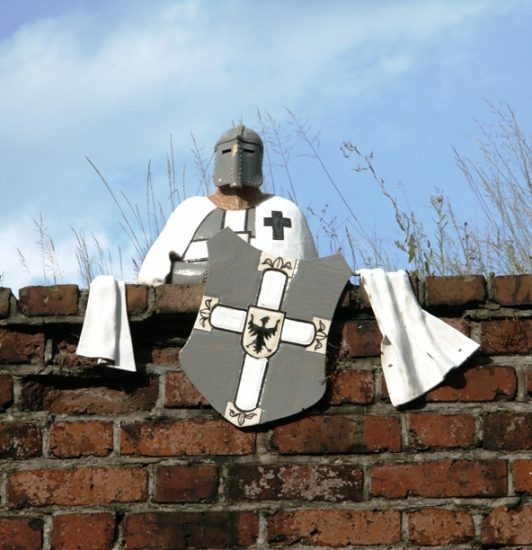 The figures represent Toruń burghers and the Teutonic Knight in a helmet. 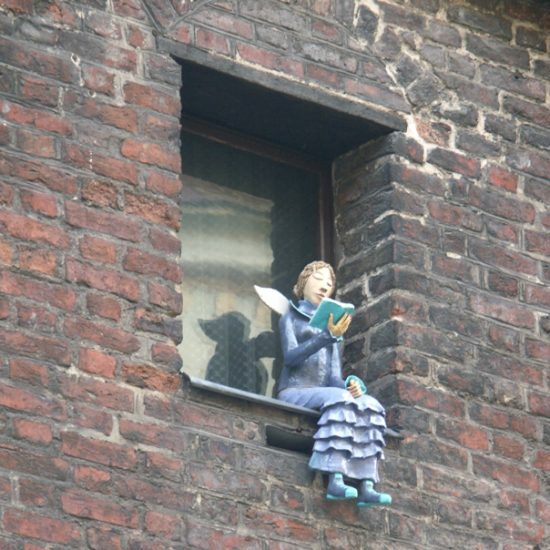 Podmurna Street is also where the readers - a few figures engrossed in reading - sat down on the old brick embanking between Cat’s Head Tower and the building of the Centre for Modern Art. 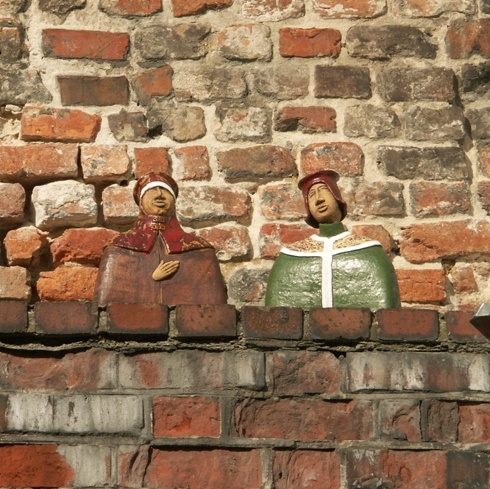 The author of those figures is Toruń artist Małgorzata Wojnowska-Sobecka. 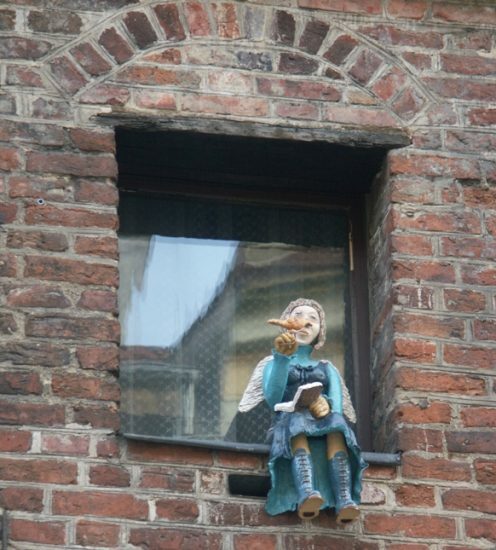 The windows of the Reading Centre for the Ill and the Handicapped in Szczytna Street are adorned with a group of angels. 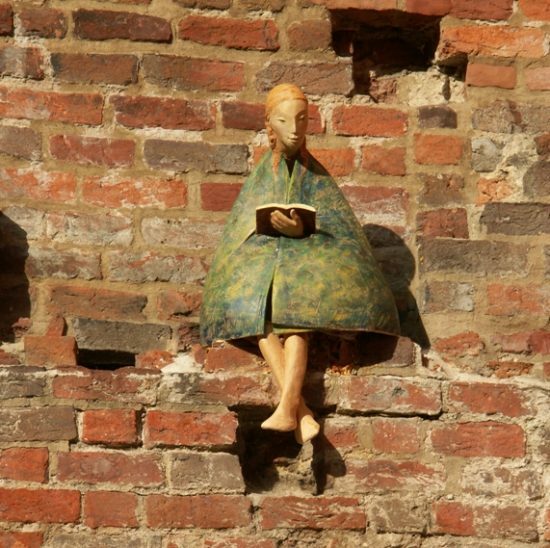 The author, Alicja Bogacka, dressed the magical beings in costumes modeled on the Art Noveau architectural details of the Old Quarter. 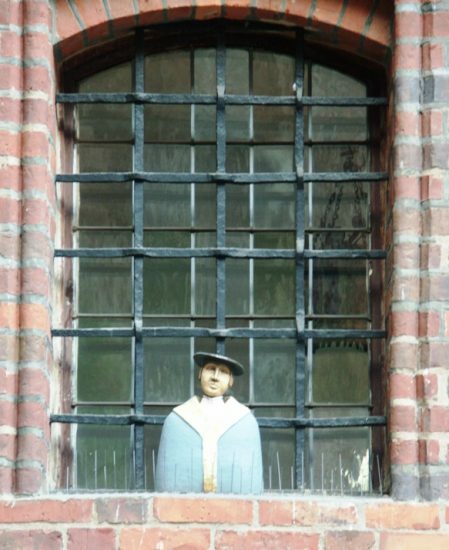 The ceramic figures were intended for tourists. They are supposed to give the city its artistic character, draw attention to the historic architectural details and call to mind the people and times when the gothic streets and houses were still under construction.